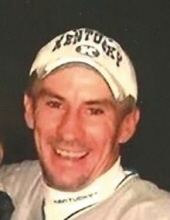 A Bloomfield resident, Mr. Matthew Craig Newton, age 52, passed away Thursday, April 11, 2019 at his residence. He was born June 22, 1966 in Bardstown to David Eugene and Catherine Rose Cissell Newton. Craig was the Supervisor of Maintenance for Bardstown City Schools, was a builder and contractor, was an employee of American Greetings for 16 years, attended St. Thomas Catholic Church, and was a Christian by faith. He was an avid UK fan and loved his family and friends. He was preceded in death by his father, David Eugene Newton. He is survived by his mother, Catherine Rose Newton, 3 sisters, Gena Newton Arnold of Bardstown, Kelly R. Newton (Chris Donahue) of Balltown, Sandy Newton (Darrell) Hardin of Cox’s Creek, his brother, David Scott Newton of Louisville, his half brother, David Brad Newton of Bardstown, his fiancé, Denise Culver and her children, Trevor and Miranda Culver, 9 nieces and nephews, Wilson, Andy and Alex Arnold, Emily Smith, Summer Beavers, Hannah and Hallie Hardin, Olivia Newton, Austin Wheeler, and his 2 beloved dogs, Scout and Sweeney. Several aunts, uncles, cousins, and friends also survive. Funeral services for Mr. Matthew Craig Newton will be 2:00 pm Sunday, April 14, 2019 at the Houghlin-Greenwell Funeral Home, 1475 New Shepherdsville Road. Deacon Sam Filiatreau will officiate. Interment will be in St. Thomas Catholic Church Cemetery. Visitation will be Saturday from 1:00-8:00 pm with a prayer service at 7:00pm and additional visitation Sunday from 9:00am-until time of service at 2:00pm. The family requests that expressions of sympathy take the form of contribution to the Humane Society, Wounded Warrior Project or the donor’s favorite charity. The Houghlin-Greenwell Funeral Home is in charge of arrangements. To send flowers or a remembrance gift to the family of Matthew Craig Newton, please visit our Tribute Store. "Email Address" would like to share the life celebration of Matthew Craig Newton. Click on the "link" to go to share a favorite memory or leave a condolence message for the family.